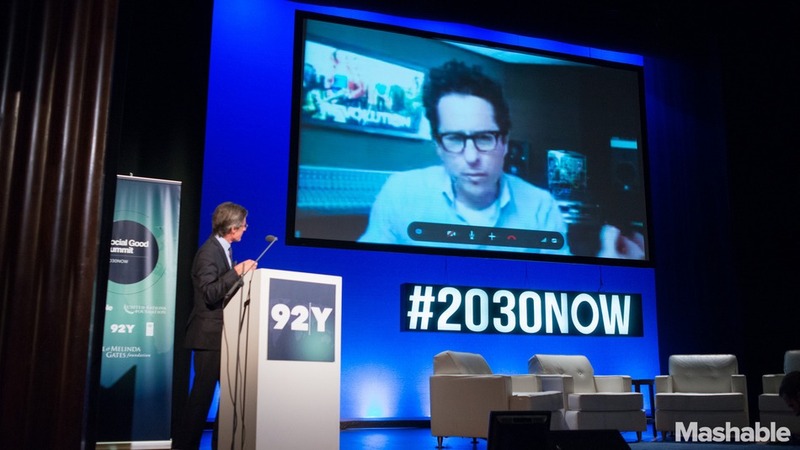 J.J. Abrams spoke at Mashable’s Social Good Summit via Skype on Monday, revealing that there is more to his movies and television shows than just keeping you on the edge of your seat. While this is something that we’ve always known, we didn’t really know about the social good that came along. Abrams also created a spin-off of his production company Bad Robot, to help with the social good effort. It’s called Good Robot. Since the movie was set to be released in May, when thousands of troops were scheduled to come, Abrams decided to use the opportunity as a way to honor veterans and highlight the problems they face. “Could we take a summer action movie — about a crew of Starfleet officers who rise against the threat of terrorism — and shine a spotlight on a real life issue affecting all of us at home?” Abrams wrote in a blog for The Huffington Post. The crew partnered with the organization the Mission Continues, a nonprofit that gives returning troops a sense of purpose by dispensing them to work on service projects in need of their specific skill sets. A number of members from the organization appeared in one of the film’s scenes and also shared their experiences with the cast and crew.